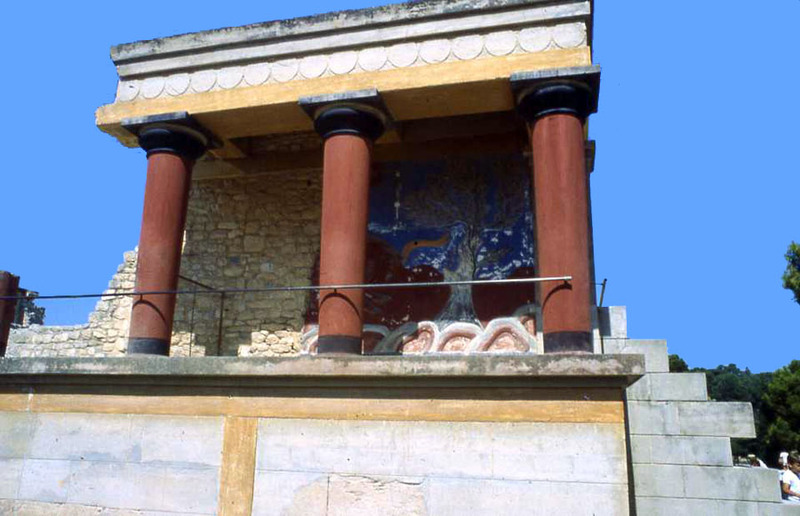 Restored portion of the Minoan palace of Knossos. 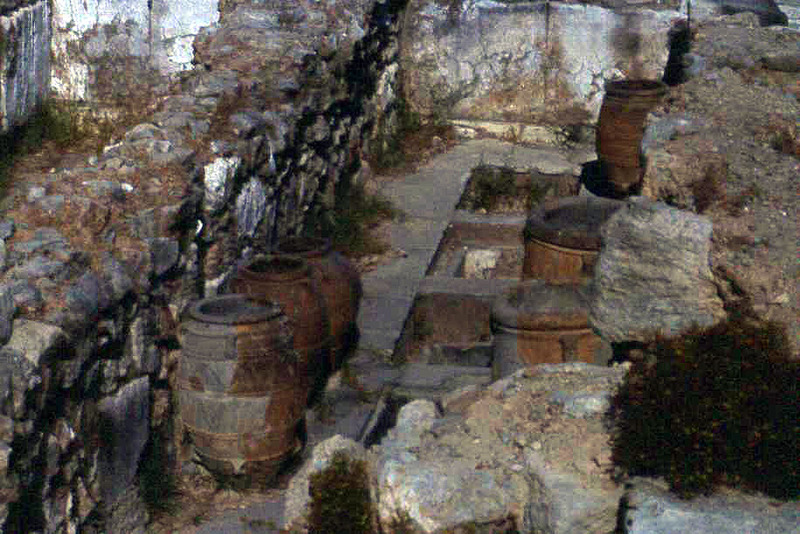 Palaces were collection points for economic wealth of the island of Crete. 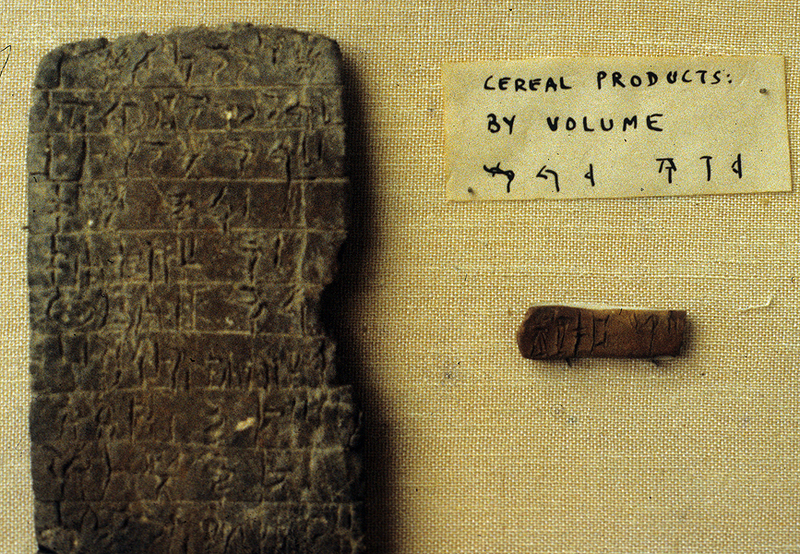 Magazines of the West Wing of the of palace. 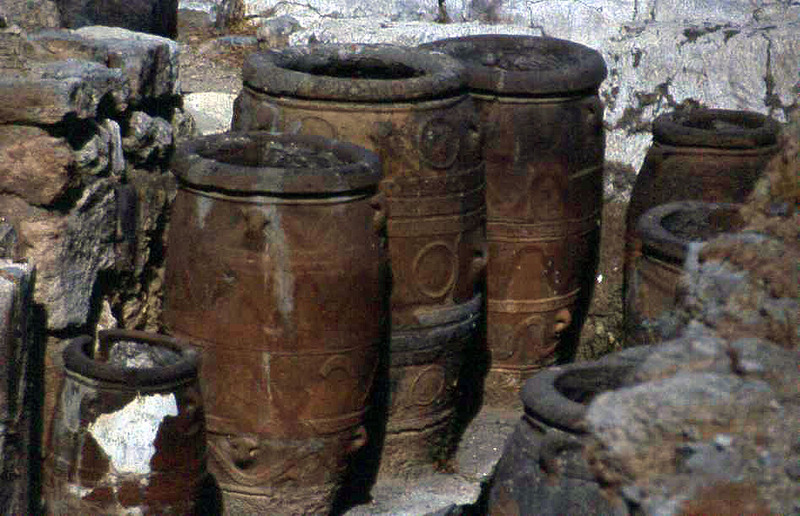 Large pithoi in the storage magazines of the palace of Knossos. 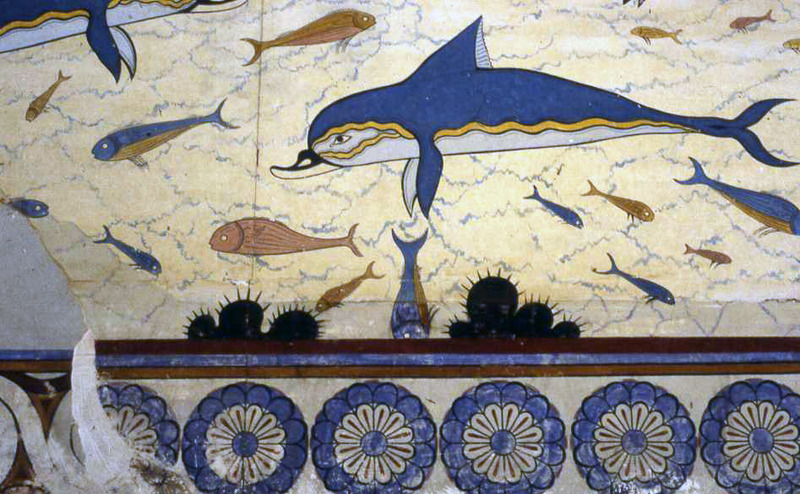 Reconstructed wall painting in the palace of Knossos. 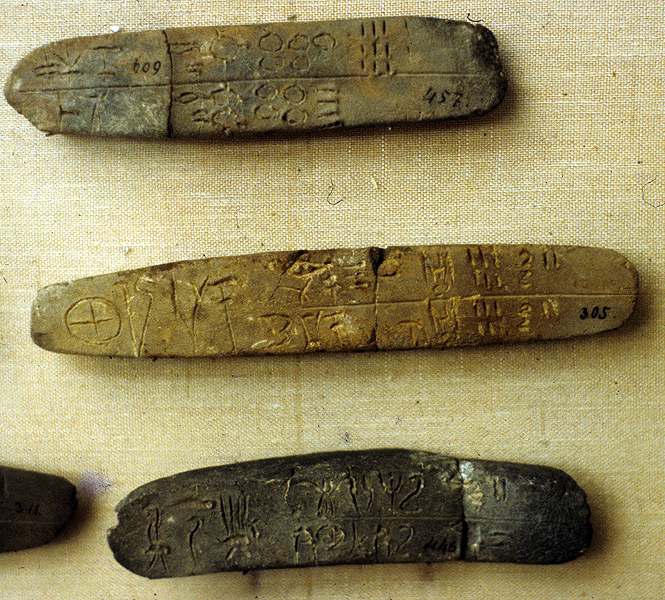 Another accounting tablet written in Linear B script.